One key to successfully transitioning an inmate with mental illness from jail back into the community is what’s called a “warm hand-off.” It is when jail staff and the county’s behavioral health department work hand-in-hand to ensure that inmates have the resources they need immediately upon their release, including transportation, housing, medication and assistance setting up appointments. For nearly a year, Riverside County’s Sheriff’s Department and the Riverside University Health System’s Behavioral Health Department have collaborated to change the treatment of care for the incarcerated mentally ill population as well as plan their successful transitions back into the community. The changes were initiated by a lawsuit and a court-ordered cap on the jail population. 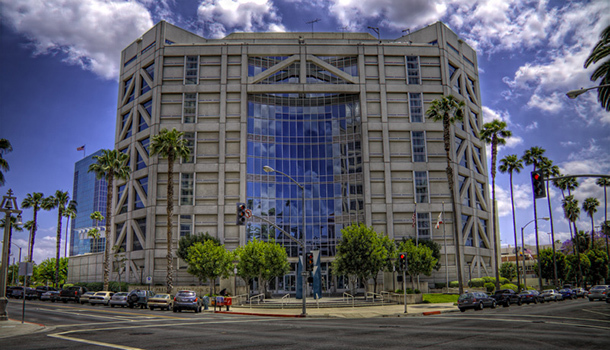 It also coincided with the release of a jail utilization study conducted by CA Fwd’s Justice System Change Initiative (J-SCI) team, which found that mentally ill offenders stay in the county’s jails for longer periods of time and are booked more often. Carlee Antillon, a Riverside County behavioral health specialist, leads the discharge planning at the Robert Presley Detention Center. She explained that the transition back into the community begins long before the inmate is scheduled for release. “About six or so months before they get out, you help them if they need housing, transportation, or felon-friendly employers, or clinics outside of here to be able to set up appointments to get medication,” said Antillon. If they qualify, Antillon added, inmates can access AB109 clinics where they can join groups, attend sessions and get a case manager. Also available is the Full Service Partnership program at the Jefferson Wellness Center, which provides wellness and recovery-based services to the unserved and under-served population with a mental health diagnosis and who are homeless.